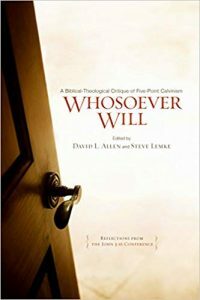 An Appreciative Reply to "A Serious and Respectful Interaction with Kenneth Keathley"
David L. Allen and Steve W. Lemke, editors, Whosoever Will: A Biblical-Theological Critique of Five-Point Calvinism (Nashville, TN: B&H Academic, 2010. 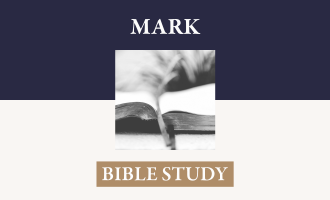 206 pages, including Name Index, Subject Index and Scripture index. $24.99 pb. I have tried to find a way to confirm Olson’s judgment (he might be right that this is the best argument that can be mounted against Calvinism) but have not seen things as clearly as he did. Jerry Vines’ sermon on John 3:16 has many fine moments exegetically, theologically, and rhetorically. He would improve his overall credibility if he incorporated into his discussion of love for each and every individual in the world texts that assert that “God shall have them in derision” (Psalm 2:4), and God “hates all workers of iniquity” (Psalm 5:5),” and the “Lord will abhor the bloody and deceitful man” (Psalm 5:6), and the nature of God’s love for Jacob while He declares, “I hated Esau” (Malachi 1:3; Romans 9:13). His litany of the uses of the Greek word pas would pass a severer test if he included in it such uses as “All those given to Me by the Father will come to Me,” (John 6:37) and “You have given Him authority over all flesh, in order that to all the ones You have given Him He may give eternal life” (John17:2). Some might also like him to unpack his view of the attributes of God upon which he justifies the interrogative, “What kind of God would not make salvation possible for all?” (24). Paige Patterson, who expresses appreciation for the conscientious attention to the biblical text given by Calvinists, does an excellent job of affirming human sinfulness including a display of strategically selected Scripture passages. While he accepts Adam’s natural headship and the consequent corruption of humanity, he rejects federal, or covenant headship as a negative reflection on the justice of God and a poor background for the virgin birth (37). If this were “the scholarly argument” one might expect Patterson to acknowledge that those who believe in federal headship normally also accept the natural connection between Adam and his posterity as the source of spiritual corruption. They see it as subordinate to federal headship for they defend the justice of God in permitting the flow of corruption by seeing it as a punitive measure for our sin in Adam. One would also expect an explanation as to how imputation of righteousness through union with Christ, our covenant head for righteousness, is consistent with a pure natural headship in our relation with Adam. One would not expect a long Spurgeon quote illustrating the assertion “Calvinist C. H. Spurgeon saw as unscriptural the idea that regeneration preceded faith” (35) when the quote in reality assumes Spurgeon’s agreement with the idea that regeneration precedes faith but sees it as no bar to the unhindered call to faith in Christ for all. Historically it fits with his conflict with the hyper-Calvinists of London. It is certainly appropriate, and consistent with Olson’s hope, that Patterson quotes an outstanding Arminian, Free-will Baptist Robert Picirilli, in defense of a synergistic understanding of the relation between the human will and affections under the enabling but resistible operations of the Holy Spirit in bringing a “dead” sinner to faith in Christ (43f). If the dead can do something spiritually for their own benefit, a stronger defense than anecdotes is needed for its demonstration (40-43). Richard Land’s discussion of election to which he gives the moniker “congruent election,” struggles to reach the high accolade granted by Olson, but Olson himself does not seem to grant that superlative status to Land himself. Land’s historiography of Baptist development, borrowed from Ahlstrom, Baker, and Lumpkin focuses on generalities about bits of Calvinism and bits of Arminianism that only serve to cloud the reality of what Daniel Marshall, John Leland, Richard Furman, Silas and Jesse Mercer, and Basil Manly, Sr., were really doing. He seems to accept uncritically that his late 50’s early 60’s experience of Southern Baptist programmatic church life was “Sandy Creek” (50f). This representation would make Shubal Stearns, Daniel Marshall, Isaac Backus sad for they looked to George Whitefield and Jonathan Edwards both for their revivalistic evangelism as well as their Calvinistic theology. The concept of “congruent election” is a bit awkward. Congruency is a word that focuses on the achievement of harmony from a multiplicity of factors some of which may appear to be in tension. Every theologian seeks a view of election that is congruent with all the data that impinge on the doctrine. Just calling a view “congruent election” does not say anything about what it is. A Calvinist believes that unconditional election involving a compatibilist understanding of human responsibility is congruent with all the relevant Scripture texts. An Arminian believes that election based on God’s knowledge of the various responses of every individual is congruent with all the relevant Scripture texts. Land’s analysis of the Calvinistic view of election on page 54 is truly bizarre, matched only by his understanding of Romans 9-11, inspired by H. A. Ironside, that the entire discussion concerns only earthly privilege. But as Land tries to explain election from his standpoint, even deeper difficulties develop. He wants to move beyond Arminian foreknowledge and reject Calvinist decrees and put God’s knowledge of the creature as a personal experience that God now-and-eternally has with him, the creature. This involves some problems with the finiteness of the created order, the true temporality of created things and our experience, and the biblical presentation of linear history. Land’s version of the Eternal Now and the participation of the creature in it contradicts the biblical notion of creation by making it co-existent with God Himself. God elects those He experiences as responding in faith, “based upon God’s eternal experience with, not just prior knowledge of, individual beings.” Congruent election turns out to be another form of conditional election, founded upon eternally existent human action not divine action. But we must not question this too far lest we question God Himself, for Land believes that “God led me to this understanding of election” (59). So I will forego any more criticism. 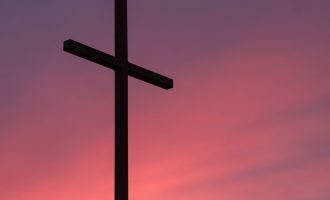 David Allen’s article on the atonement has some helpful aspects to it. He defines terms fairly and clearly. Substitionary atonement is in mind in each case and the spectrum from undiminished universalism to a highly discreet particularism with several nuances and combinations in between is covered. Allen argues for the position that God has equal desire for the salvation of every individual and has thus made provision in the atonement equally for every individual. The sins of every individual from Adam to the end of the age were “substituted for, atoned for, or imputed to Christ on the cross” (63).
. Hence, all whom God ever intended to save in Christ will be saved. But some souls will never be saved; therefore some souls God never intended to be saved by Christ’s atonement.” [Dabney, Systematic Theology, 521]. Even when Dabney admits that the “difficulties which beset the subject are great,” he never comes close to a view that will please Allen. Historically, two positions characterize Calvinist interpretations. Some say, the Owenic view in Allen’s nomenclature, that the atonement by its very nature is definite and precisely adapted for the salvation of the elect. Others say that in its nature it could potentially be applied to each and every person from Adam to the last man standing, but by covenantal intention, sovereign application, and High Priestly intercession its design is to save, and actually does save, only the elect. This difference, however, does nothing to establish Allen’s view of the atonement. Exegetically, Allen denies that the words “world” and “all” can ever be construed to mean a limited set of people. “No linguistic, exegetical, or theological grounds exist for reducing the meaning of ‘world’ to ‘the elect.’” (80). This flattening of the meaning of those words simply is not the way that the Bible uses them. Without contention, Romans 3:23, at the close of Paul’s discussion of the universal impact of sin, means every person without exception. At the same time “the whole world” in 1 John 5:19 contextually taken does not include each and every individual for it specifically excludes those “born of God.” So Jesus distinguished the “world” from His people in His intercessory prayer in John 17:9, 14-16. Jesus’ use of “all” in John 12:32 [“will draw all men to me”] has reference to His crucifixion as embracing the non-Jewish peoples as well as the Jews when seen in the context of John 12:20-23. It is easy empirically to demonstrate that His death does not draw each and every individual but certainly does extend the manifestation of the “eternal covenant” (Hebrews 13:20) to all the peoples of the world. Paul’s argument in Romans 11:11-15 identifies “world” with “Gentiles” as opposed to Jews and could easily be applied to his “all men” and “all” in 1 Timothy 2:4, 6 as he asserted and defended the legitimacy of his mission to the Gentiles (7). The covenantal embracing of Gentiles, the world, scandalized the Jews who missed justification by failing to see that they, in conjunction with the world, were dependent on the operations of electing grace. (Romans 10:1-13). Paul’s application of Joel 2:32 “whosoever shall call on the name of the Lord shall be saved” and his inclusion of the Gentiles in the “remnant whom the Lord shall call” upset the religious equilibrium of Israel. The New Testament from beginning to end hovers over that concept expressive of the New Covenant, so an interpretation of “all” and “world” with that as background lacks no exegetical warrant.
. I will put my law into their hearts, and in their minds will I write them; and their sins and iniquities will I remember no more. Now where remission of these is there is no more offering for sin” (Hebrews 10:12-18). Anyone reading these words must admit that in some sense the Scripture teaches that there cannot be a double payment for sins. This reality makes it very surprising that Allen would quote John Davenant in support of his position in saying “Therefore no injustice is done to those persons who are punished by God after the ransom was accepted for the sins of the human race, because they offered nothing to God as a satisfaction for their sins, nor performed that condition, without the performance of which God willed not that this satisfactory price should benefit any individual” [italics mine] (84). This is disturbing. Offer “satisfaction” and “perform” the condition? What has Christ done if He has not done those very things? The sins for which Jesus has atoned are gone, done for, wiped away, forgiven accomplished once and for all, no more satisfaction for sins remains to be done. Surely the elect must, and will, repent and believe, but the gift of the Spirit endemic to the New Covenant has been secured by Christ, the Covenant Keeper. Now, if one considers that this reconciling work of Christ is so great, so complete and full (as Hebrews argues) that it includes the effectuality of all the means by which it will be bestowed through union with Christ by faith, he will immediately concede that nothing can impede the purpose of God in granting to the people for whom Christ sanctified himself by covenant all that Christ purchased. (John 17:17-19; Hebrews 10:29) “He who spared not his own son but delivered him up for us all, how shall he not with him freely give us all things.” Peter affirmed that the saved have “obtained like precious faith through the righteousness” of Jesus and accordingly that his divine power has given us “all things that pertain to life and godliness” (2 Peter 1:1, 3). In purchasing all the graces through His meritorious sacrifice He has indeed purchased the people themselves (Ephesians 1:14; Titus 2:14). The “all” for whom He was delivered up will receive “all” the things He died to obtain. Another theological objection of Allen fits precisely in this context, for he says that the “double payment” argument “negates the principle of grace in the application of the atonement–nobody is owed the application.” (83) Apart from the fact that this same style of argument is used by liberals to reject penal substitution, one could with the utmost faithfulness to the Bible say that one person is owed the application, and that person is the Lord Jesus (Isaiah 53:10, 11). He “bought,” gained for Himself, the church with His own blood and His purchase, His gain, cannot fail to be granted. Grace toward us was merited by Him. He gave Himself for a people and He shall surely be given them as His purchased possession. Allen objects that the double payment argument “confuses a pecuniary (commercial) debt and penal satisfaction” (83). This is no confusion; it is an application of the very language and conceptual framework of Scripture. The “wages” of sin is death (Romans 6:23). You are “bought with a price” and thus are owned by God (1 Corinthians 6:20). Jesus came to give His life as a “ransom” for many (Mark 10:45). In whom we have “redemption,” but not redemption through silver and gold but with the “precious blood of Christ” (Ephesians 1:7; 1 Peter 1:18, 19). The church has been “purchased with his own blood” (Acts 20:28) and the Lamb is worthy, merits from God, that which He has purchased: “Thou art worthy to take the book, and to open the seals thereof: for thou was slain, and hast redeemed [that is, bought, acquired as property] us to God by thy blood out of every kindred, and tongue, and people, and nation” (that is the “world”; Revelation 5:9).When Jesus illustrated forgiveness to Simon the Pharisee, He began, “There was a certain creditor which had two debtors: the one owed five hundred pence, and the other fifty. And when they had nothing to pay, he frankly forgave them both.” In short, there is nothing unseemly or unbiblical about conceiving the forgiving work of Christ in terms of commercial justice. The Bible places all those images before us frequently and vividly. Moral justice is precise and satisfaction for sin is commensurate with the nature and respective aggravations of sin committed. Christ’s sufferings completely emptied the debt of punishment owed by the elect for all their sins of every kind. Otherwise it could not be “more tolerable” even in judgment for some than for others (Matthew 11:22, 24). Allen misperceives penal substitution and satisfaction as he admits no parallel to the quid pro quo of commercial transactions. He has missed the sweep of the biblical presentation of justice in its intricately gradated dimensions. If justice is anything, it is punishment commensurate with the crime. The commercial language of Scripture goes far beyond empty metaphor and serves as an instructive analogy. This section deserves more thought before one can pronounce it as THE scholarly argument against Calvinism. Kevin Kennedy’s article is, in my opinion, the best in the book. He argues his thesis cogently, provides some compelling primary source material, and interprets the material forcefully. His evidence demonstrates that Calvin did believe that Christ’s death by its nature could potentially save all the sinners of the world. Calvin based the free offer on that precept as well as his doctrine of aggravated guilt for any person that would hear the gospel and refuse to appropriate Christ’s death as his salvation. that seems to affirm limited atonement” is a bit over the top and shows that he is unacquainted with some major arguments in the Calvinistic corpus. Olson’s unwarranted remark is not Kennedy’s fault. Calvin’s first five sermons on Ephesians show conclusively that Calvin saw every benefit of election as made certain by God’s viewing us in Christ, and specifically in Christ as having died for us. Since the “only begotten Son is given to us, how should not all the benefits which he has in himself be communicated to us with him and through him?” Calvin asked (20). In his prayer to close the first sermons, Calvin asks God to “show us that the heritage which has been purchased for us by the blood of his only Son is ready for us, and that we cannot miss it, seeing that we go to it with true and invincible constancy of faith” (21). We will never have an adequate grasp of the origin of salvation if we refuse to look to God’s eternal counsels “by which he has chosen whom he pleased and left the remainder in their confusion and ruin.” (23). Because of election, the Spirit enlightens the chosen and draws them to the faith of the gospel. 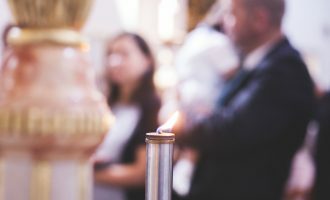 “Faith depends upon God’s election, or else we must make St. Paul a liar.” (28) When God looks at us, however, He does not see goodness or faith or anything that would commend us to Him, but only the evil that is in us and is obnoxious to His wrath. Calvin asked rhetorically, “Did God, then, have an eye to us when he vouchsafed to love us?” Then he answered, “No! No! for then he would have utterly abhorred us. It is true that in regarding our miseries he had pity and compassion on us to relieve us, but that was because he had already loved us in our Lord Jesus Christ.” He had before him the “pattern and mirror in which to see us, that is to say, he must have first looked on our Lord Jesus Christ before he could choose us and call us” [Calvin, Sermons on Ephesians, 33, on 1:3, 4]. We are His enemies and He is contrary to us and can only love us when He is “willing to cast his eye upon our Lord Jesus Christ and not look at us at all” [52; 1:7-10]. The reason for God’s discrimination in election must be consigned only to His will, to His secret purpose, and Paul does so clearly lest the faithful “think that they had faith through their own impulse and free will. I told you earlier that faith is a fruit of election” [44; 1:4-6]. One may know his election, therefore, not from any specific knowledge of God’s secret counsels, but from the fact of his faith in Christ. Calvin says it simply, “How do we know that God has elected us before the creation of the world? By believing in Jesus Christ” [47; 1:4-6]. Christ is the mirror in which God beholds us to love us and at the same time is the mirror into which we look to know God’s favor toward us. If we have faith, we are adopted, and all because He elected us before the creation of the world. Christ is the party to whom “we must resort to be assured that God loves us and acknowledges us as his children, and consequently, that he had adopted us before we knew him and even before the world was created” [48; 1:4-6]. We continually focus on Christ, for it is certain that God may reprobate whom He pleases and elect whom He pleases, and the only sure token of election is our continual turning to Christ, having His sufficiency engraved on our hearts. “For the gospel may well be preached to all men, even to the reprobate, but for all that, God does not extend to them this special grace of quickening them into life” by which He also extends the mercy of continual repentance “till we are made partakers of the glorious immortality which he has so dearly bought for us” [49; 1:4-6]. All of these gifts come to us because Christ “made himself our surety both in body and soul, and answered for us before God’s judgment to win absolution for us” [51; 1:7-10]. God cannot love us in ourselves but must hate us; in love, however, He predestinated us to adoption only because He is “willing to cast his eye upon our Lord Jesus Christ and not look at us at all.” His look at Christ shows that “our sins are done away by such payment and satisfaction.” God’s acceptance of this in Christ is thus the ground of God’s electing love of us. “Seeing then it is so,” Calvin goes on to say let us not falter in our groanings, but let us moderate our affections so that we are content that our redemption has been purchased for us in the person of our Lord Jesus Christ, and let us trust in him that he will accomplish for us the same thing in us and our persons that he has accomplished for us in his own” [italics mine; 78, 1:13, 14]. In that light, Calvin encourages believers to find assurance that Christ will indeed accomplish what He intended in His redemptive death. “In the same way, when he speaks of the redemption which was purchased for us, to show that if we feel the effect of it in ourselves, so that we are not in any doubt about the things Jesus Christ has done for us, we must not fear that he has suffered in vain. For surely his sufferings would be to no purpose at all towards us, if it did not reach us so that it might result in our profit, and that we might enjoy it. That, therefore, is what is purchased in the person of our Lord Jesus Christ” [79; 1:13, 14]. In that assured result he reiterated what he had earlier affirmed when he encouraged believers, abased in themselves, to be “so renewed in the image of God that it may shine perfectly in us, till we are made partakers of the glorious immortality which he has so dearly bought for us” [49; 1:4-6].
. If the effect of his shedding of blood is that our sins are not imputed to us, it follows that God’s judgment was satisfied by that price.” Calvin goes on then to assert the absurdity of Christ’s suffering unless it is to effect the salvation of those for whom He paid. “It was superfluous, even absurd, for Christ to be burdened with a curse, unless it was to acquire righteousness for others by paying what they owed.” Again Calvin presents the same idea but includes a larger view by including Christ’s death as a part of His entire work of merit, by whom those for whom He performed it must benefit since God cannot deny reward to those that have indeed kept all the demands of the Law. “For if righteousness consists in the observance of the law, who will deny that Christ merited favor for us, when, by taking that burden upon himself, he reconciled us to God as if we had kept the law?” [Calvin, Institutes 2:16:3-5; and 2:17:1-6]. Malcom Yarnell’s chapter narrating his fears of the negative impact of Calvinist theology empties a barrel of red herrings into the discussion. Calvin–guilty of “reckless speculation regarding the ordering of the divine decrees?” Hardly–Calvin avoided speculation carefully and warned against it strongly. “Elitism” (223)? Really! Among frontier Baptist Calvinists that hoed in the day and preached at night. Religious intolerance (221)? Baptist Calvinists Roger Williams, Jon Clarke, Isaac Backus, John Gano, John Leland, Daniel Marshall, and Oliver Hart, champions of liberty of conscience did not know of the danger of their Calvinism making them religiously intolerant. Whatever dangers the Augustinian/Calvinist view of the universal church had for those men (220f), those dangers are completely inconsequential for Baptists. Yarnell’s warnings have virtually no historical pedigree in Baptist life, with the result that his concerns are so remote from reality that one is puzzled as to how such a chapter is even relevant to the present discussion. 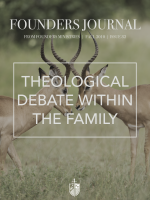 He embraces fully, and wrongly, Richard Muller’s discussion of what it means to be “Reformed,” and concludes, “In the end, it is impossible to be at once both truly Reformed and truly Baptist, especially when the local church is considered” (232). If Yarnell is serious, he must either be indifferent toward or negative in his evaluation of (for certainly he is aware of), the massive amount of Baptist argumentation from the seventeenth century to the present concerning the principles of continuity and discontinuity between the covenants. They saw themselves as strapped fast to a confessionally Reformed viewpoint but with a more consistent application of the provisions of the new covenant for marking out the people of God. Jeremy Evans argues for agent causation within a framework of libertarian freedom. Evans posits an “I” that, correctly, has personal responsibility for all actions, but, unbiblically, he limits all prior causes to the choices of the “I” (263). To maintain personal responsibility he sacrifices causative connection with any prior circumstances and thus creates an un-predisposed moral agent apparently un-connected with Adam (certainly unaffected by a moral nexus derived from Adam), un-corrupted in affections, existing in a pristinely neutral stance concerning all things (263). Surely this must present problems to Evans in his ability to conceive of a God immutably holy and yet worthy of praise. 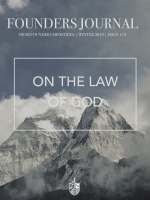 His position demands the question, “If God can do no other than not sin, how can his sinlessness be praised?” This certainly seems to be the case when he contends (266f) that God’s self-sufficiency is undermined if He acts either in creation or providence in accordance with an internal propensity. He wants God, in this case, actually making a choice, just like us in his viewpoint, unconnected with the disposition of character. He would seem to cherish an idea that God might truly act contra-causally. The difficulties with “contra-causal” anything, including human choice, are so massive as to render even rational argument with the intent to convince about the subject irrelevant. This issue of freedom in relation to moral cause is at the bottom of Bruce Little’s discussion of “Evil and God’s Sovereignty.” He establishes excellent guidelines for procedure in this discussion (277). Using John Piper and eventually Gordon Clarke as his major foils, Little engages in an extended critique of the Calvinist view of divine purpose in all things–creation, providence, and redemption–with the recurring refrain that if this is so then finally God must be the perpetrator of evil; He alone is responsible as the original cause of all things, and, if so, must be blameworthy (294). Little employs an impressive list of atrocities to reinforce his major contention that these things cannot be seen as purposed by God. He wants the reader to adopt the idea that millions of sorrowful things occur without purpose (282f). God will finally demonstrate His glory in the eschaton but the virtually infinite number of events that are interpenetrated with evil are not designed by God for such a display (290f). While he admits that the majority of the world does not “love God” he sees this as no justification for any punitive measures that God might inflict at any time (283). Apparently he believes that the atonement has rendered this present order morally acceptable to God making any display of wrath in it a contradiction to God’s pledge (280). He does not accept Ephesians 1:11 as relevant to God’s control of all things but sees it as teaching a more generalized reactionary providence (292). He takes the “all things” as a dative, whereas it is accusative–i.e. not “works with all things,” but positively and actively “works all things according to the counsel of his will.” His view of divine commands is that these commands should be binding on God also (279f), not as requirements natural to the creator/creature distinction. Little does not think it is possible for creatures to mourn the loss of temporal or eternal blessedness for fellow creatures, and resist the lawless imposition of one creature’s will on another creature, and at the same time consent with joyful resignation to the divine will in those same events. In Little’s world, we cannot view both natural and personal evil (Luke 13:3, 5) as reminders of divine wrath for a world walking in darkness and under condemnation (John3:19, 20, 36), or as designed for chastening, purifying, and sanctifying for the believers (Hebrews 12:3-13; 1 Peter 1:6-9). We cannot blame the Romans and the Jewish religious establishment for crucifying Christ and at the same time thank God for bringing to culmination an eternal redemptive purpose. We cannot say with Joseph, “You intended it for evil but God intended it for good.” We cannot approve and join with David’s repentance in Psalm 53 and also approve the divine wisdom as ordaining this for the perpetuation of the genealogy of the Messiah through Solomon. Little would forbid us to affirm that the manifestation of the glory of the triune God in creation and redemption is a fair exchange for the fall of Adam and all its other consequences even though Paul sets this forth in Ephesians 3:7-21. The only way out for Little seems to be open theism.